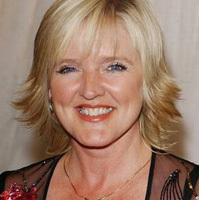 Singer and actress Bernie Nolan has sadly died aged 52 after a long battle with cancer. She had been told in 2010 she was clear of breast cancer but last year discovered it had spread to her brain, lungs, liver and bones. Bernie shot to stardom with her singing sisters The Nolans. The group, best known for 1979 hit I'm In The Mood For Dancing, sold millions of records around the world and enjoyed success with songs such as Don't Make Waves, Attention To Me and Gotta Pull Myself Together. They became huge in Japan, where they are said to have sold more records than the Beatles.